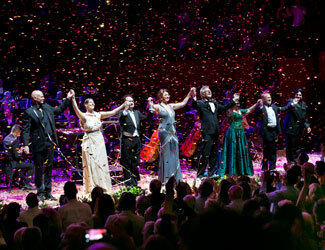 Stroll down to the Sydney Opera House and join the stars of Opera Australia for a concert of the greatest hits of opera. Pinchgut Opera presents Monteverdi's late masterpiece based on the final chapters of Homer's timeless poem, the Odyssey. 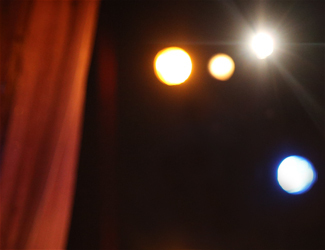 Fernando Guimarãres stars as Ulysses in a role he has sung to international acclaim and is joined by Australian mezzo-soprano Catherine Carby as Penelope. 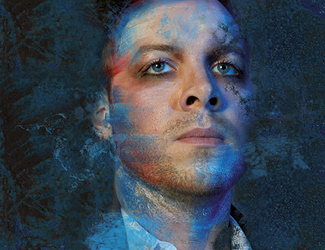 Graeme Murphy’s arresting new production of Madama Butterfly is a contemporary look at Puccini’s alluring heroine. Puccini’s sublime music imbues this ageless story with impossible beauty, from the irrepressible, famous aria ‘One fine day’ to the intense finale. Two exceptional casts perform throughout the season. Karah Son returns to Sydney, sharing the role of Cio-Cio-San with Mariana Hong. 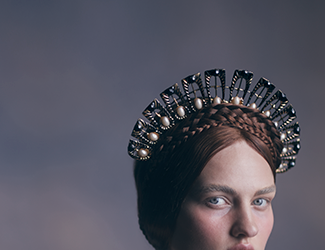 Donizetti’s opera rips the best bits from a bloody time in history to create a thrilling ride through the last days of Anne Boleyn’s marriage to King Henry VIII. Jealous courtiers and scheming royals have the queen caught fast in a tightening trap. And her lady-in-waiting is waiting indeed, consumed with guilt, to take her place on the throne. He burst onto the international art scene, all golden curls and bravado. He was dynamic, damaged, a big idea and a bold brush. 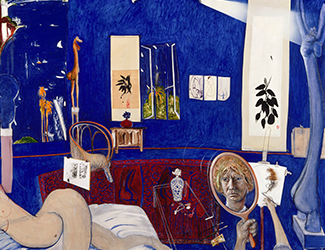 With the vivacious Wendy on his arm, Brett Whiteley was magnetic. In 2019, this Australian icon meets two of Australia’s greatest artists in a brand new work for the Australian stage: Whiteley, by Elena Kats-Chernin and Justin Fleming. Nicole Car partners with her husband, internationally acclaimed baritone, Etienne Dupuis, and brilliant pianist, Jayson Gillham, to perform a recital of romantic French song. 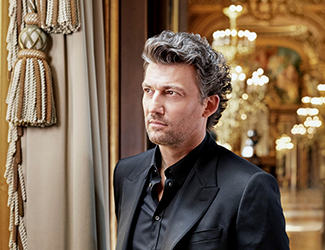 Superstar tenor Jonas Kaufmann returns to Australia in one of his most celebrated roles. A concert performance of Andrea Chénier offers the perfect showcase for his “dark, liquid tone, which soars through the music with refined ease and intensity” (The Guardian). 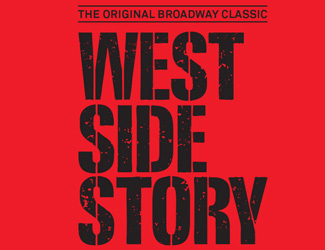 Hailed as the greatest Broadway musical of all time, the genius of West Side Story is unquestioned. Bernstein’s world-famous score features unforgettable songs including ‘Maria’, ‘Tonight’, ‘Somewhere’, ‘America’ and ‘I Feel Pretty’, that have been universally adored for generations; proving this iconic dance musical remains one of the most poignant stage works of the twentieth century. An evening of Vivaldi, Hasse, Porpora and more with ECHO Classic Award winner Valer Sabadus. 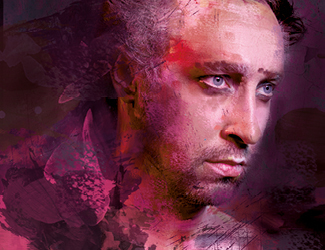 Pinchgut is proud to be bringing one of the world's top countertenors to Australia for the first time. 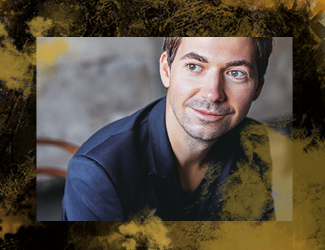 Join us at The Opera Centre for this series of intimate recitals curated by Jun Yi Ma, Concertmaster and Director of the Opera Australia Orchestra, and pianist, Siro Battaglin. Slip into a Mediterranean dream with a sublime program of poignant pieces and dreamy ensemble works, including Ravel's ethereal Introduction and Allegro, and Turnia's Las musas de Andalucía. Hear William Walton and Edith Sitwell's Façade — an Entertainment, a piece that scandalised the 1920s literary set, alongside Zemlinksy's Piano Trio Op.3 and Poulenc's Sextet for Piano and Winds. Aribert Reimann’s 1984 opera is a haunting and evocative chamber work, exploring Strindberg’s moody text with complex rhythms and other-worldly tones. Director Greg Eldridge creates a chilling picture of Strindberg’s Stockholm in this new staging in the Opera Australia Scenery Workshop. Mozart’s classic comedy has been entertaining crowds for centuries, and between the witty, fast-moving libretto and the melodic, charming writing, it’s not hard to understand why. 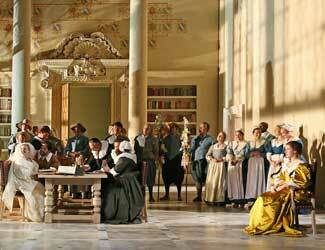 If Rossini made a showreel of his best work, it would sound like Il Viaggio a Reims (The Journey to Reims). In Damiano Michieletto’s playful take, the eccentric cast of characters find themselves in a gallery filled with the master works of art history. It’s a surreal world, where artworks step out of the frame and come to life the moment the lights go out. 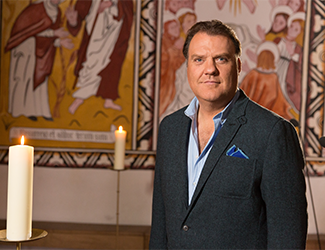 When Bryn Terfel sings, everyone stops to listen. The superstar Welshman performs some of his favourite songs across many genres, with the backing of a magnificent orchestra. Once you’ve heard his interpretations, they’ll be your favourites too. Farnace is a passionate drama of political and dynastic intrigue and the ideal candidate to receive the unique Pinchgut touch. A rarely performed gem, it was one of Vivaldi's most meticulously prepared operas, with orchestral colour and dramatic characterisation. 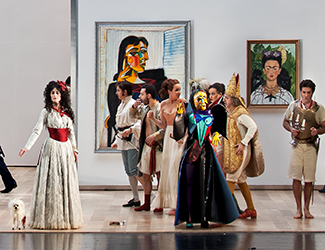 Pinchgut Opera has assembled some of the world's finest voices to bring these characters to life and showcase Vivaldi's thrilling tunes. Leave the crowds behind as you enter the Sydney Opera House, then settle back for an evening with Rodolfo, Mimi, Marcello and Musetta in Puccini's La Bohème. The way that first love grabs hold of your insides and floods you with something you've never felt before. The fire that burns you the first time jealousy flares. The growing up you do in the instant you realise love can't last forever. Puccini takes these achingly human feelings and sets them to music — music that soars with the ecstacy of love, crackles with the pain of jealousy and cries with the agony of loss. 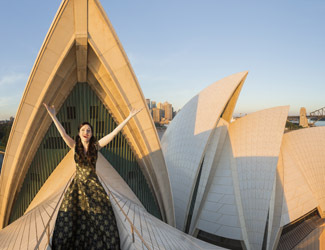 Step into the the Sydney Opera House's magnificent Concert Hall to watch the Opera Gala concert of popular arias by Verdi, Puccini, and Rossini, with Sydney's New Year's Eve fireworks at interval.